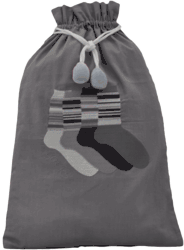 Men's Striped sock bag is the perfect way to store your socks when at home or on the road! Great men's gift idea! Measures 16" x 10.5"